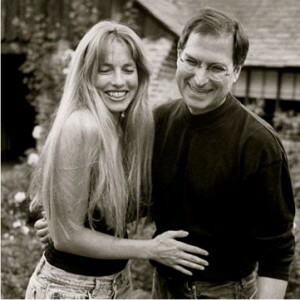 In younger years Laurene and Steve Jobs. Their casual life style set the tone in Silicone Valley and younger corporate America. the ever iconic Steve Jobs who transformed the world, and opened new possibilities in a Historical dimension. ISA was glad to find Steve and Laurene Powell-Jobs a Chef for their home. 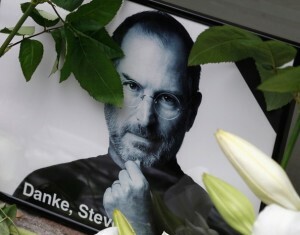 Steve was a client we all deeply admired and one we shall never forget. He was not shy about personally letting us know exactly what he wanted, and that was the “best Chef out there” – who didn’t have to be a vegetarian or vegan chef, but needed to cook that culinary diet for him and his wife, and whatever his wife wanted for their children. Steve wanted us to know what it would take to please him up front. We met the challenge. After a Chef we referred provided some sample menus and food tastings he was hired. We pride ourselves in taking care of our clients for their household needs with our unique expertise. Read more about this lovely family in our TIPS section about hiring a Chef. The Powell-Jobs family is a wonderful dynamic group and Steve Jobs a loved man worldwide. He is the only CEO in History to have a spontaneous memorial of homage put up by customers and employees. We shall miss him greatly.